How happy are the childhood days! We all have Childhood Memories and still remember it like yesterday. Sister love make it awesome. 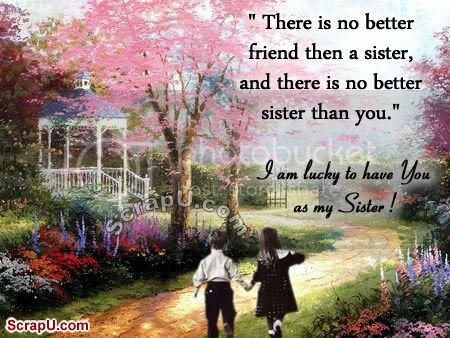 Sister is our first friend and second mother. Sisters are for sharing laughter and wiping tears. A true sister will stand by your side. How do people succeed without a sister!!! !